Arkells might just be the biggest rock band in Canada at the moment. Thanks to last year's single, "Knocking At the Door," they've had a hit in circulation for a good 18 months, largely in part to its popularity with the sporting crowd. And after becoming a stadium band this past summer by selling out the Hamilton Tiger Cats' home field, Arkells are ready to show they've earned such a distinction with their fifth album. Building on the success of 2016's Morning Report and its subsequent hit, Arkells have gone for broke with Rally Cry, instilling more chance-taking into their saccharine rock'n'roll machine. Preserving the essence of their early working-class rock sound has always been an admirable trait of the band, but now it feels as though Arkells' ambitions are getting a little too lofty to keep that up. Instead they have the mainstream in their sights. That doesn't mean early fans will struggle to find something to their liking. If you're looking for that well-known Springsteen influence, "Saturday Night" has those same exhilarating feels as "Glory Days," while "Only For A Moment" is Rally Cry's answer to upbeat, wistful favourites like "Leather Jacket" and "My Heart's Always Yours." 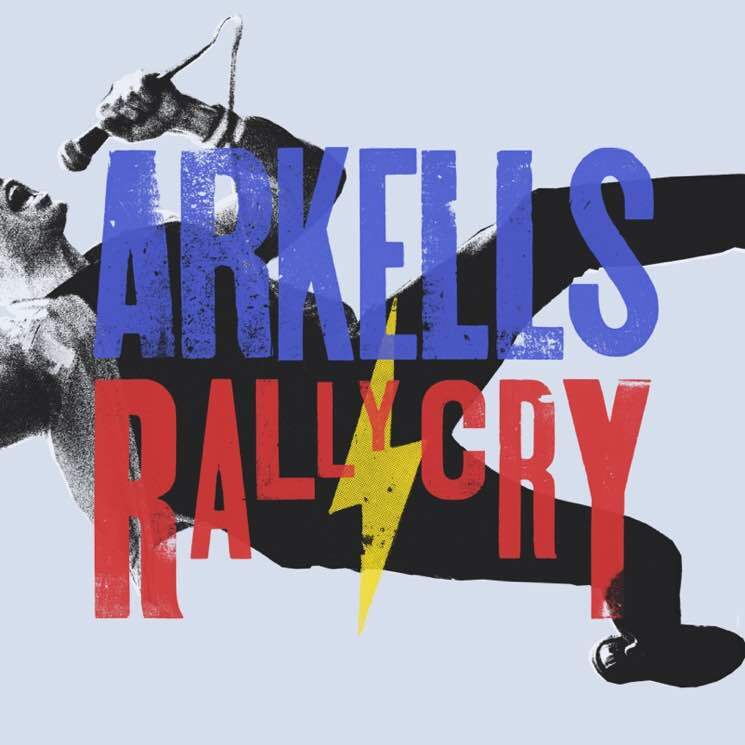 What makes Rally Cry a success, though, is in how Arkells seem to really be going for the big score with creative risks. "Relentless" is built around a sample lifted from Soweto artist Chicco's "Sixolele Babe," whose Afro-pop groove shouldn't really work, but somehow fits into its loud rock framework. "Company Man" is the closest they've come to a Motown or Daptone track of their own, and while it isn't exactly the Dap-Kings, what is? It's "Eyes On the Prize" that takes the biggest leap of faith, however. At the midway point, it flips the script entirely, allowing frontman Max Kerman to portray an evangelist, backed by a gospel choir (played by the Arkettes). That might be a divisive moment for some fans, but hats off to them for having the audacity to attempt such a thing.